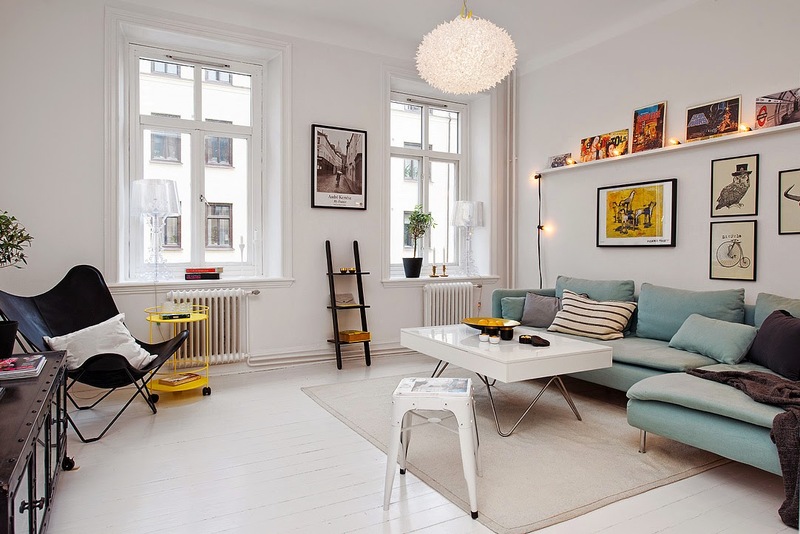 Love this gorgeous one bedroom flat in Gothenburg, Sweden. By keeping the walls white and adding colourful details they have maximised the space without making it look lifeless and dull - and also how cute is the entrance to the building!? White walls, white floorboards and white furniture - so simple yet stylish. Personally I am way to much of a hoarder to keep my home this perfectly colour coordinated, but at least I can dream that one day my home will be this organised!